TV Everywhere puts you in control – TV the way you want it, wherever you want it. Use your My Account login to enjoy free access to apps and websites to stream your favorite shows and movies from anywhere when you're on the go. Today, there are more ways than ever to watch TV beyond the big screen and to take your favorite shows and movies with you wherever you go. With Cox TV, you have free access to the Contour app and up to 120 TV Network apps on your smartphone, tablet, and computer. Stream live TV and thousands of movies and shows, both past and current episodes, On Demand. With the Contour app, never run out of content to watch on your smartphone, tablet, and computer. You'll have access to Live TV, and you can binge thousands of movies and shows, both current and past seasons, with On Demand. When you're on the go, look for channels with the TV GO ( ) badge. Have a favorite show coming up on a certain network? 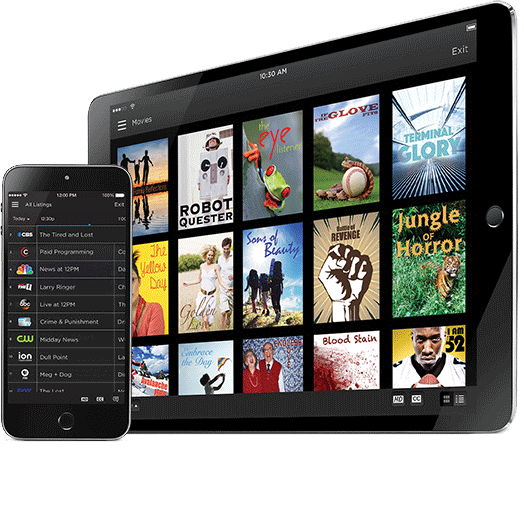 Access network apps that are free with your Cox TV subscription. Simply download the app on your mobile device, select Cox as your provider, and sign in with your Cox My Account login to watch your favorite live and On Demand shows from anywhere! Don't have a My Account login? Go to cox.com/register to sign up. Experience TV at the palm of your hands with the Contour App from Cox. *The Contour App is available to all Cox video customers. To maximize the App's content and features within the home, the customer will need to have Cox High Speed Internet Essential or higher.